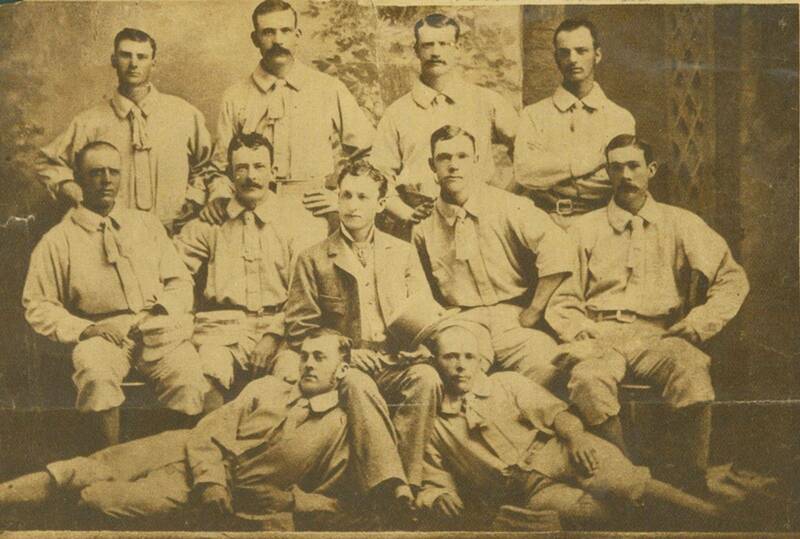 The Cleveland Blues Base Ball Club is a Vintage Base Ball Club out of Cleveland Ohio, and patterned after the Cleveland Blues Base Ball Club of the National League (1878-1884), playing by 1860-1878 base ball rules. Below you'll find current news about the Cleveland Blues including our next event. Please take a look around to learn more about vintage base ball, the equipment used in the 1860s, the historical Blues and the modern Blues. We hope to see you at a match this summer! Mumford, NY, August 12, 2018:  The National Silver Ball Tournament is one of the premier tournaments in vintage base ball and a highlight on the calendar of each team that gets an invitation to this special event. It is three days of 1868 rules base ball at one of the largest historical villages in the country, Genesee Country Village an Museum. Teams travel from all around the Eastern United States, and even Canada, to participate in four matches with the hopes of qualifying for a chance to win the National Silver Ball Trophy in front of the crowds at Silver Base Ball Park. The weekend started out great for the Cleveland club as they marched towards another shot at the title. Taking home another Silver Ball Trophy would be their fourth in their 10 year history. They won their first four matches against some of the clubs that call these grounds home: the Flower City BBC, Live Oak BBC, Victory BBC, and Rochester BBC. That would set up a championship match on beautiful Sunday afternoon with the Diamond State Club out of Delaware. The Diamond State nine featured hard hitting, great fielding ballists some of whom had played on the Mid-Altantic All- Star squad that beat Cleveland in the 2015 Championship. There would be no room for errors for Cleveland. But errors found their way into the Cleveland game for the first time all weekend, and after one inning of play they found themselves down 7-1. It was the largest deficit they've faced all season, but as they do, the gentlemen from Ohio found a way to fight back and drew even after three innings while holding the Diamond State club scoreless. More unearned aces and fine hitting by Diamond State opened the score up again and with one inning left to play the Blues found themselves once again down eight: 17-25. The top of the ninth began with a long fly out from hard hitting Hacksaw, and the possibility of a comeback looked bleak. But Plowboy, the club's hurler, found his way to first, and Donny, who had already hit the ball over the outfield fence four times in two games at Silver Base Ball Park, bounced one over the centerfield wall for a ground rule double. As the crowd grew louder, two more doubles by Hitch and Hamer, along with singles from Constable and Stump had cut the lead in half with the lineup about to turn over. A wild pitch moved the baserunners in scoring position and removed the chance of a match ending double play. The cheers for the Cleveland Club's improbable comeback grew even louder. Duke, put a deep fly ball into play that was caught by the left fielder, but a stumble allowed the runners to advance and tally another ace. It was now 22-25 in favor of Diamond State, another ace standing on the third sack. Woody placed a ball into the garden and scored that ace; 23-25. The young centerfielder, Milhouse, also hit a single and stood on first as the tying run. That brought up Hacksaw once again who had led off this ninth inning, this time as the go-ahead run. With patience he waited for the perfect pitch to strike. His swing hard and contact solid; a fast line drive that took a perfect hop to a waiting rover. After a toss to the second sack, the match and shot at a fourth Silver Ball Championship was over for the Blues. There is no doubt that the Blues will be back in Mumford another year trying to win that fourth Silver rBall title. But for now they will be proud of the way they played to get to the championship match and hoping that they helped bring a few more fans to vintage base ball along the way. It's a tale as old as time. Every spring the temperatures begin to rise, the last of the snow melts, and the trees begin to blossom. Then, it snows at least once more and North East Ohioans question why they are still here, after all these years, dealing with this weather. But once that final snow melts (for real this time) and the birds begin to chirp every morning and the grass becomes the dark shade of green perfect for base ball, they all know why they stay. Because spring will shortly give way to summer; and summer in North East Ohio is a magical time. There's nothing like it anywhere. People begin to flock to the pool, the lake, Cedar Point, and the ball park. 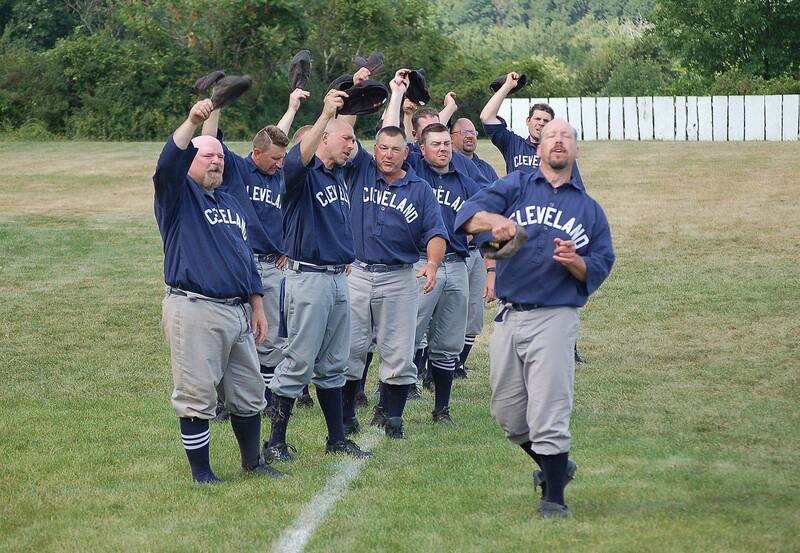 Whether that ball park is Progressive Field to catch the Indians, or a local sandlot, base ball is finally back and that is what we endure those long cold winters. Summer in Lakewood Park is equally as magical as anywhere in the Cleveland area. There's the city pool and twilight walks along the cliffs of Lake Erie with the Cleveland skyline as a backdrop. There are concerts and Forth of July fireworks. Then of course, there's base ball. City teams of all ages meet on the dirt infidels like Old Stone House Field throughout the summer. 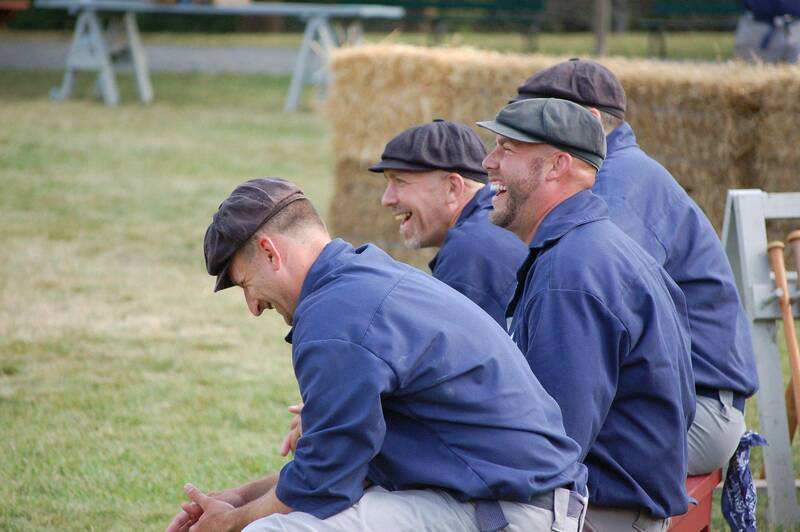 And If you show up on the right weekend, you might just catch a vintage base ball match breaking out on the lawn. Even with the trees in the outfield, this is the way baseball was meant to be played. Find an open area big enough for a 90' x 90' diamond, 18 or more ballists, and have a gentlemanly contest with food and cold drinks afterwards. Early every summer a new event is taking hold in Lakewood Park: The Western Reserve Cup. It's a vintage base ball contest featuring 4 clubs from the Western Reserve putting on exhibitions of 1860s era base ball and hoping to earn the right to be called Western Reserve Cup champions for another year. This summer the clubs will be at Lakewood Park on July 1 playing two matches at a time on Old Stone House field and in the lawn across the driveway. The Western Reserve Cup, and all vintage base ball matches at Lakewood Park are free. Cranks (spectators) are encouraged to bring lawn chairs or blankets and enjoy base ball the way it was meant to be played. Watering Hole of the Blues!